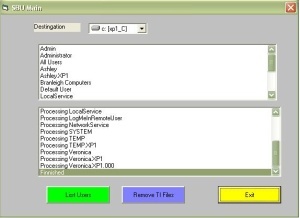 Below are a number of tools and programs written in VB6 (Visual Basic 6) by Lee. They are free to download and try; and Lee is happy to receive feedback or suggestions for future projects. Here are some games for you to download. Temp Internet File Remover removes all IE temp Internet Files for ALL User Accounts.